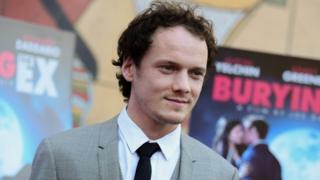 The parents of actor Anton Yelchin are suing the makers of his car, after it rolled downhill and killed him. Yelchin, who played Pavel Chekov in the rebooted Star Trek films, died at his home in Los Angeles in June. A wrongful death lawsuit filed by his parents against Fiat Chrysler says the gear changer on his Jeep was defective. In April, the company recalled 1.1m vehicles across the world over concerns that they could roll away after drivers exit. Yelchin did not write a will before he died and left behind a $1.4m (£1.06m) estate, according to court documents filed by his parents. Court records show Victor and Irina Yelchin filed to become administrators of their son's estate on Friday. The filing states Yelchin left behind at least $641,000 in personal property and had $731,000 in equity in his home. The 27-year-old died when his car struck him after rolling backwards down the steep drive, pinning him against a brick postbox pillar and a security fence. The vehicle that killed Yelchin was one of those subject to a recall because the gear shifters confused drivers, causing the vehicles to roll away unexpectedly. Fiat Chrysler offered their sympathies to Yelchin's family in a statement, but said it could not comment on their plans for a lawsuit.